Directions for Youth & Families’ Parenting and Early Childhood programs work to strengthen and improve family functioning and reduce the incidence and risk of child abuse/neglect through home based services as well as formal class instruction. In-home kindergarten readiness program working directly with children and parent/guardian to enhance learning and assist parents with child development skills. For families with children 3 to 6 years old who are not yet enrolled in kindergarten. Learn more about our program here. Download our Ready, Set, Grow brochure here. Parenting instruction to improve quality of family life, office-based groups. Learn more about our program here. 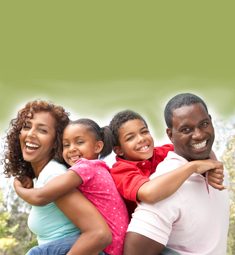 Download our Positive Paths Parenting Program brochure here. To learn more or register for these programs, contact our Intake Department at 614-294-2661 or email us.